Looking past the buffers at Chesham station in December 1971. 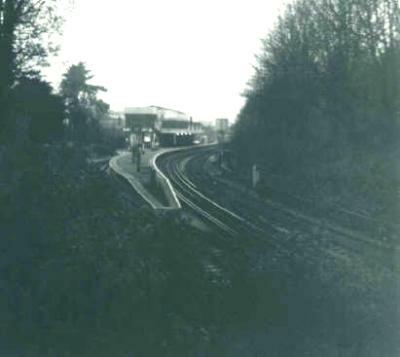 At that time there were still two tracks at Chesham, although they no longer lead into the goods yard beyond, although the old goods shed can still be seen. When the line was opened there was a proposal to extend it further to Tring and then connect to the LNWR route on the Euston Birmingham line. Much land was bought for the purpose but never used. For a long time there was a gap in the houses along White Hill where land was owned by the railway for this route, but it never happened. Today the goods yard is occupied by the car parks for the station and Waitrose. 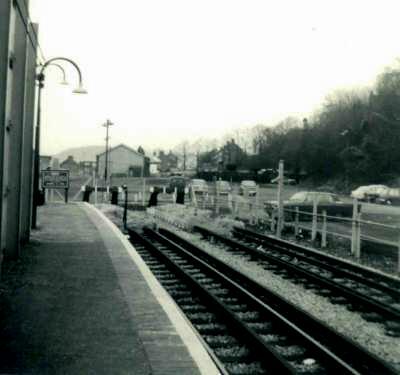 Chesham station in December 1971. The site of the bay platform can be seen which was not used for very long after the line was electrified. If it was still in use it would help improve the service if the through trains are late as at least a shuttle could run, which now it can't as it would block the line, holding up the through trains. Thus on occasions passengers for Chesham can have very long waits. 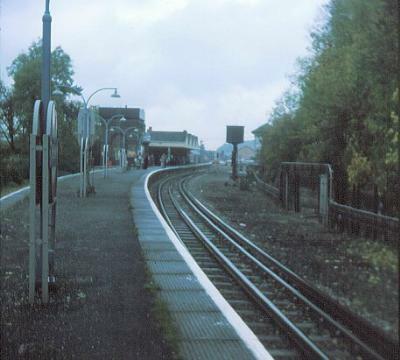 Another view of Chesham station in December 1975. The only track left is the platform track, the water tower and signal box give an indication of the station's past.